With Robert Graves, the modern poet, we sense how close we can come today to knowing the Mother, Who, while man keeps himself unworthy of the encounter with Her, is far from being all graciousness. With Shakespeare, we learn how much we will have to contend with in ourselves before we can even begin to think or make ourselves worthy. While with Keats we seem to stand suddenly outside the whole prospect, caught up in our modern detachment to the point where we feel we have no further way to go; everything of our Mother’s ways becomes from thereon in opaque to penetration, for we have in the meantime made an end of ourselves alone. Such is my argument in Myth, Depravity, Impasse. These are the three decisive experiences that come down to us out of our recent past as representative of our sadly alienated Western case. Or so I have presented it in Impasse. Meditate on the image of the Scylla at Milos, which I reproduce on that book’s cover, this remarkable pre-vision of where we stand today in our relationship to our Mother. And consider how we are set before this image, unable to say how we are related to it in our deepest depravity or what triumphant visionary world lies still hidden away from us beyond the forbidding encounter with ourselves this image gracefully alludes to. In the meantime, as with Keats’s Urn, we stand alone before this image as a mere artistic object from which we gather what aesthetic satisfaction we can, to console ourselves against our mortal end, which we have in the meantime made an idol of. All has grown opaque to us, though the keys to understanding lie somewhere among the lessons that all three authors have to offer. Or so we must see it in the cultural language we speak today. But we must hope that another language will be wrought by him who will be the heir of Graves, of Shakespeare, and of the further lesson to be derived from Keats, and who may show us how we are indeed to make our way back to the Mother. Or perhaps She Herself will appear, from Her own transcendent sphere outside the labyrinth that man has made for himself, to call us more forcefully to Herself again. Both Debacle and Impasse were undertaken, very consciously, to fill out the historical range of my work. They will have fulfilled their function if the reader can come away from them with a more settled or directed idea of how we have separated from the Mother. So much might be explored in the literature of the West that has to do with this most significant of all ideas. In my other more intensely realized work, or the work that I really felt called on to do, the sequence that runs from Sacrifice through Spirit to Powers and to School, and including Muse, I give my account of how, in spite of our alienation from Her, the Mother has still come through.—But Who is our Mother? In Her ideal form She is the Sophia, or how the Sophia appears to us today. She is with us today in the guise of Anthroposophia, the latest and the last expression of Her great sobornal Hierarchical Being, the last gift of Herself to us. It will be now for us to work our way back to Her, building on the path back that the Anthroposophia Being illuminates for us. In Steiner’s Plays this Anthroposophia Being is embodied in the character of Maria. Not that Steiner’s Maria is Anthroposophia but that this Being manifests fully and works through her. Up to the time of the realization of the mission of Anthroposophia in the early part of the 20th century the Sophia Herself was still working (She was still working as the spirit of Nature), though in a progressively more and more attenuated form that all but dies out by that time. 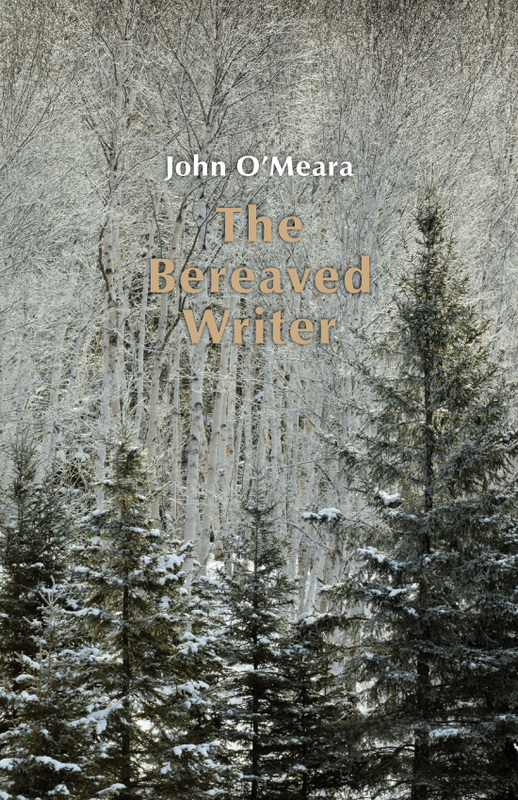 Moreover, many of our modern authors are aware that Her influence had all but died out, and they are desperate to recover what they now fear has passed away from us forever. In that most recent sense the Sophia is our Mother, but She has left behind a daughter in Anthroposophia. Modern literature shows an extraordinary intuitive awareness of this fact. In Debacle I show how this awareness is manifested even in Brecht (in Mother Courage and her daughter), but it is there also in Chekhov (in Lyubov and her daughter, Anya) and in Tennessee Williams (in Amanda and in Laura), to name but a representative few. However, there is no understanding of how the daughter works further, or Who She really is. A woman-poet like Sylvia Plath feels, in the absence of any other knowledge, that, as Her daughter, she must return us to the Mother’s will in the most radically appalling way, by her own suicide. Robert Graves, in an extraordinary contrast, supposes himself already possessed of the Goddess’s will through his Muse or representative woman, as if there had never been any separation from the Goddess at all. But these constitute extraordinary manifestations, not within the pure scheme of our evolution, in comparison, that is, with the triumphant breakthrough of the Sophia’s purposes for our time as achieved through the Anthroposophia Being in the work of Rudolf Steiner. But while this breakthrough has been achieved, it represents only our ideal route through, which we can only work our way through to by the most arduous application to ourselves. For we continue to contend, in spite of what we think, with our darker depraved energies, and there is still much that we will have first to confront in ourselves before we can even begin to say that we have properly come through. Do not let us suppose that, because we appear to stand so detached from ourselves in this respect, we do not still have those natures to contend with. We remain caught up in the dark depths of our sensual life. At the same time, we seek to over-determine our lives intellectually, pretending to settle beforehand what our existence can be about, and so succumb to the will to power, with ourselves as well as in our relation to others. Shakespeare himself anticipates the two great problems, of sensual self-love and intellectual over-determination, also in those characters that one would wish to think finally free of those sins: in the great heroes of his and our imagination. The depths of these menacing realities, which we only occasionally re-visit, Shakespeare saw to the bottom of, as it were in one stroke of imagination in each case. Suddenly out of the imponderable depths of human nature come the great forces of dark sensual energy that we witness in the thinking power of Hamlet, the feeling power of Othello and the will power of Lear and of Macbeth. All of these characters express a tendency, in the first place, to over-determine what is good—to pre-conclude the question of goodness, which can only bring in the destructive backlash of an overwhelming sensual darkness whose existence deep down in human nature will not be denied. Today, these forces are held in check up to a point, but they will have to be reckoned with more and more in time. In the end we must break free of those deeper confounding powers. If not, we shall only expose ourselves more surely to the world’s evil. Shakespeare, who brought forth those powers in his tragic heroes, shows us how hard the process of transcendence would be if we had to address it all directly now. He transcends himself by living through the tragedies of his heroes. However, only with the help of the Sophia’s great act of sacrifice in his time, Who plunges directly into his consciousness to be his support, could Shakespeare himself have ever accomplished the breakthrough. This is what I argue in Powers. Shakespeare breaks through in that preternaturally premature way of his that is like a great light shining into the darkness to come. Anthroposophy of course assumes that the task of confronting ourselves, which Shakespeare accomplishes immediately in one lifetime, is ongoing, that it can only be undertaken over our many lives, and Anthroposophia is, in the meantime, our guide through this experience, like the Sophia when (most recently, through Nature) She was still directly active among us. It is the Anthroposophia Being Who in the meantime supports us while we continue to probe ever more courageously into the deeper natures that we must ultimately get hold of. Grew sodden, lurched and sank. For the way the Sophia constitutes Herself ‘sobornally’ out of the substance of several Hierarchies, see Sergei Prokofieff’s book, The Heavenly Sophia and the Being Anthroposophia. As I show in School, where I focus on Steiner’s Mystery Plays.